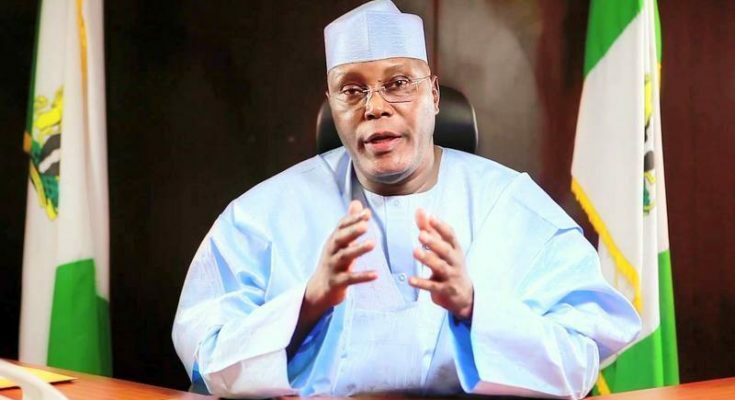 LAGOS (TV 360)--The presidential candidate of the People’s Democratic Party, Atiku Abubakar, has pledged to end the lingering strike by university lecturers in the country, from his first day at work, if elected the next president of the country. The presidential candidate made this disclosure in Lagos, Sunday evening, at the Silverbird Man of the Year event. He said the industrial action which had denied university students in the country access to education for a period running into four months “is disgraceful” and thus will receive his first attention as president if voted into office in the February 16 presidential election. Atiku said, “I am aghast that as I speak, our students across the nation are not being educated due to the ASUU strike caused by an unresolved debate of about N60billion. The former vice president added that education plays a pivotal role in the rise to success of any individual or nation and hints further that if he becomes the next president of Nigeria, his administration will triple the budgetary allocation to education from the current seven per cent to not less than 20 per cent. According to Atiku, “I will also triple the amount the Nigerian Government spends on education from 7 per cent of its budget today, not just to the 15 per cent recommended by UNESCO, but to 20 per cent. Atiku further noted that the 2019 presidential election presents an opportunity for a turning point in the development of the country, adding that he has the requisite experience to drive Nigeria to prosperity. He pointed out that three basic lessons are essential for any individual or nation aiming at greatness which include, investment in women, investment in education and investment in opportunities that will create jobs for the people.